Alternative processes & contemporary commissions at the Old Lookout Gallery. A joint paper/presentation by K.J.Shepherdson and Rob Ball at the Shadows Symposium: Traditional Photography Techniques in a Digital World, Camberwell School of Art. The presentation examined how modest spaces can be transformed into significant and potent sites of alternative creative spaces and in doing so facilitate contemporary lens-based commissions. This paper took as its case study the Old Lookout Gallery in Broadstairs and considered how this site-specific place contributes to lens-based practice and provides space - even sanctuary - for traditional or alternative processes. The paper also reflected upon how the Old Lookout' has contributed to our own practices and sense of place and space. 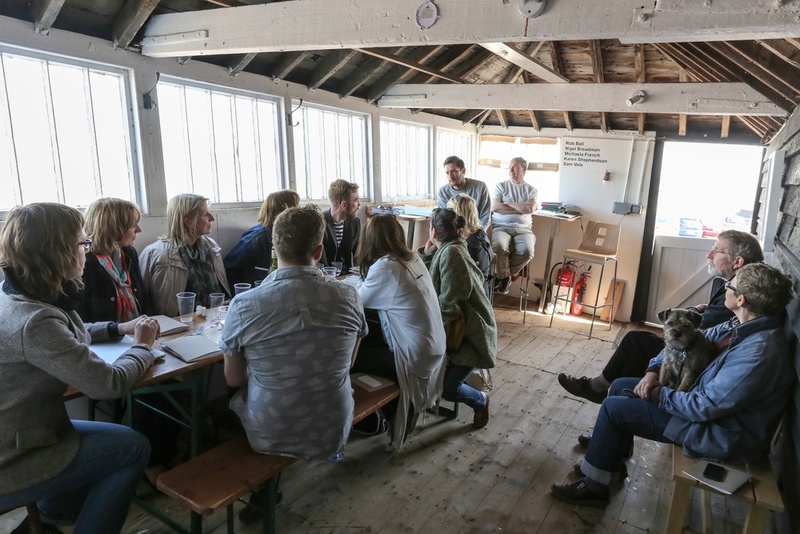 In addition to the symposium paper, we also had a wonderful seminar gathering 'Rumination on Time and Space' at The Old Lookout Gallery which included research talks by Dr Sam Vale and Michaela French followed by a fish and chip lunch.